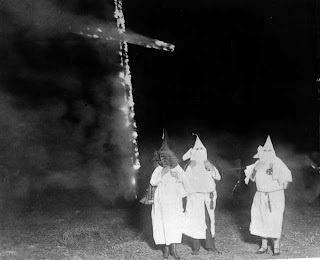 Web and Internet Blog: Who named them "Racists" anyway? Who named them "Racists" anyway? I have a problem with racists. One of the biggest challenges our country faces today is this word. Yes, the WORD, "racism" is the problem and its destroying the very fabric of our society. Lets look at it this way. What is similar about an economist, zoologist, machinist, and cyclist? An economist is one who practices economics, zoologist practices the study of animals, etc. I bet alot of us think that a racist is one who practices the study of races. I know what you're thinking. In this case, the 'ist' suffix derives from 'ism' in racism. There are no economism, zoologism, machinism, or cyclism idiologies. But there are also lots of 'isms' to pick from. Lets pick a few political idiologies. Communism, Socialism, Anarchism. All have their respective 'ists' and all have a similar meaning: one who ascribes to that particular idiology. So now, our more educated reader could conclude that a racist is actually one believes in racism. Also, by giving the word an 'ism' classification, we are allowing it to be viewed as a philosophy rather than simple blind hatred. But step back, and look at these words. Communism is the idea of a communal state. Socialism supports social welfare. The word itself is meant to tell us the story... without the story. So without the story, racism is the support of races? By now, this story is probably striking some of the deepest confused thoughts you have ever had. And it gets worse. Has anyone ever watched a race before? Perhaps cars on a road, or runners on a track, most everyone has seen a race. But have you ever watched a race before? Right, no one has ever observed an entire race other than perhaps astronauts. Did I lose you? Don't lose it yet... I was speaking of people in the latter. But whats the point? Many idiots might conclude that racism is the support of ethnic groups, or the support of sport. "Racist", its just not a good word. It doesn't make sense. The people demand a better word! But what? Hmmm... Well we have another stereotype: homophobic. Yes, this is the fear of homo's. Yea, no one understands that word either. So lets all agree: ethniphobic is not a good alternative, and the word homophobic is even more silly. Wait. Got it. Diversimaniaphobics. Thos who fear the love of diversity. Now that we have that settled, we will all be able to sleep alot better tonight.